Chrissy Cheung's images compel the viewer to follow the lines and modes of connection through which she brings her works to vibrant life. 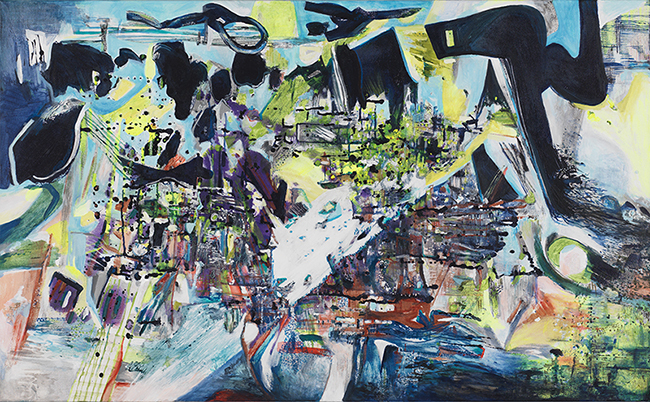 Though abstract in form, her paintings and drawings employ figurative material in complex, nuanced, and detailed ways. Her works draw on imagery from the real, the imaginary, the subconscious, and more, and transform such material in powerfully allusive ways. Vitally, Cheung's work represents and embodies motion, both her own movement in their rendering and, subsequently and enticingly, that of the engaged viewer's eyes. In this way, she captures the essence of temporal, physical artistic forms of contemporary dance and music, which are significant sources of inspiration. Chrissy Cheung is a Vancouver-based visual artist and curator. 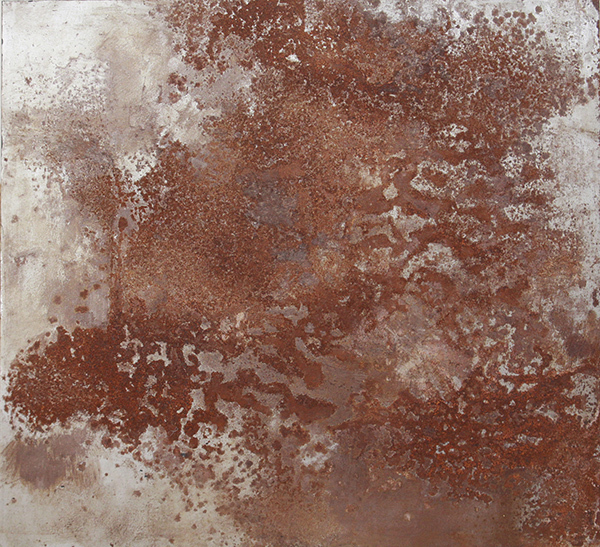 She has exhibited in numerous solo and group shows throughout Canada, including a major 2010 painting exhibit, Structured Abstractions, at the 2 of 2 Gallery, Toronto, organized by Pari Nadimi. Her art is part of several Canadian private, corporate and public collections as well as international private collections, and has been reviewed in numerous publications. Her 2016 solo exhibition, Dessins contemporains, at the Maison de la Culture Plateau Mont-Royal resulted in art acquisitions for the Ville de Montreal art collection. As a curator, Cheung is key member of PAINTER8, a geographically dispersed Canadian ‘online painters' group’ that she has worked to show principally in unconventional exhibition spaces. She curated her third PAINTER8 exhibition, Whisper at ModArt Gallery, Miami, in the summer of 2018. Chrissy grew up in the Toronto area and showed a serious interest in art from the age of seven. She moved to Montréal in 1996 to study at Concordia University, and completed her Bachelor of Fine Arts in 2000. In May 1999, she was chosen to do an industrial design internship in Milan, Italy, with designer Alejandro Ruiz. Upon graduation, Cheung moved to Calgary. In early 2005, she completed an artist residency at the Banff Centre for the Arts, resulting in a solo show, Improv Paintings, at the Other Gallery. Later that year, Cheung moved back to Montréal. 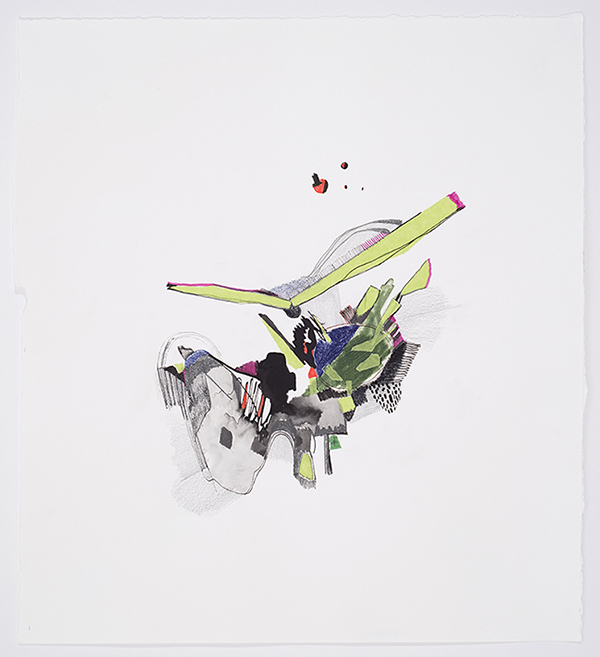 In 2008, she was accepted into the Emerging Artists Viewing Program at the Drawing Center in New York. 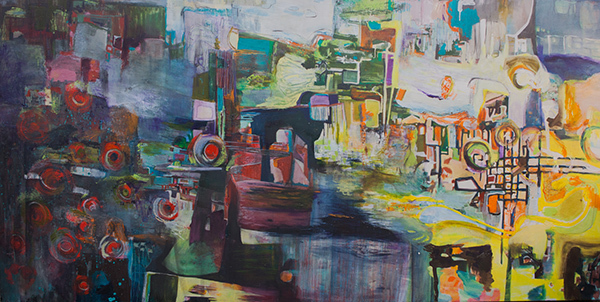 Composition no 51, acrylique sur toile, 36" x 60"
Melon Ocean, acrylic on canvas, 30" x 100"